Gotta be PNoy as tourism czar… or we might as well throw in the towel! – CHUBIBO! 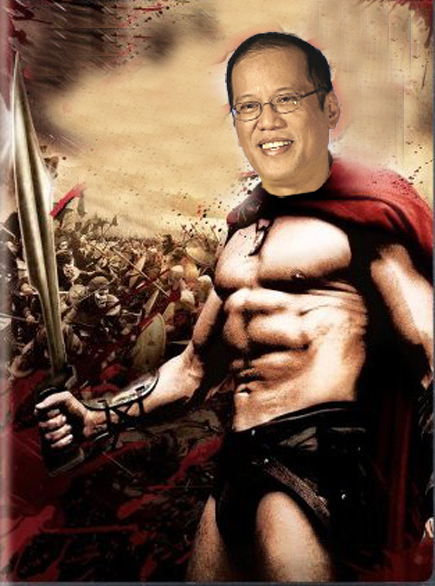 Gotta be PNoy as tourism czar… or we might as well throw in the towel! Yes, the Philippines is playing catch up with our Asean neighbors who have left us in the dust and have ruthlessly monopolized tourism arrivals. Through fancy marketing and fancier advertising imagery, many countries (with much, much less to offer than the Philippines) have managed to divert tourists destined for our shores to theirs. No thanks to our tourism efforts through the years which have ranged from… non-existent to mediocre to token. Because no administration ever made tourism a priority effort, the Philippines has sadly been lumped and identified with the least preferred destinations in the region. At this stage of the game — when we’re lagging behind… and when we’re obliged to kickstart a credible and effective tourism initiative… a mere cabinet secretary cannot do many things that are needed to be done. Can he order a same-ranked cabinet member to fix the roads with a deadline of sorts? Ease up on visa requirements? Order a cap on runaway prices in a popular destination? Put crooks who prey on tourists behind bars? Fight to regulate gun ownership to dilute the country’s image of being Asia’s Wild West? Dangle tax incentives for tourism-oriented businesses? Talk turkey with heads of state on easing aviation restrictions? Only one person can make all those things happen — the president of the land. The Malaysian government threw caution to the wind and embarked on an ambitious tourism initiative in the late 1980s. Because then Prime Minister Mahathir made himself the defacto tourism czar, the industry got full support in terms of funding, planning, coordination, regulation and enforcement. All tourism development programs were implemented according to a National Tourism Master Plan geared to encourage and accelerate the domestic private sector and stimulate the tourism sector to lead the growth of the economy. Today, tourism growth in Malaysia is nothing short of spectacular. The industry has united the country in the focused task of bettering citizens’ lives. Tourism is seen as soon surpassing the manufacturing sector, which, since 1987 has been the country’s engine of growth. The Malaysian tourism industry is currently the second largest foreign exchange earner. Furthermore, this industry also plays a pivotal role in increasing the living standard of low-income groups. And this tourism boom is registering tremendous, unwavering growth from year to year. While we watch and salivate in the sidelines, all is not lost. 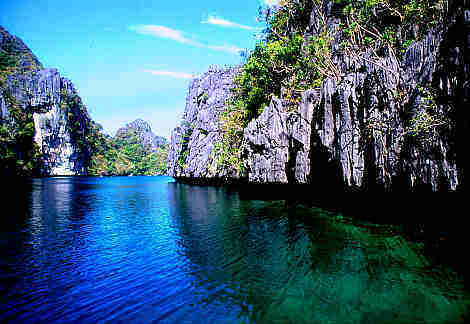 PNoy need not take a 6-month crash course on Tourism 101 to be effective. • Long haul travel will grow faster than intra-regional travel. A growth of 24 per cent is expected by 2020. • People with less time for leisure are likely to take more frequent but shorter trips nearer home, opening up opportunities for ‘neighboring country’ tourism. • The experienced traveler wants authentic, off-the-beaten-track vacations in remote and less well-known places as against luxurious five-star vacations, leading to an interest in rural and ethnic tourism. • The increase in the number of people with lots of money but little leisure time has resulted in a growing emphasis on rest and relaxation, and ‘wellness’ and ‘health’ holidays. The elderly population in key tourism generating ma r k e t s h a s s h own a preference for cultural tourism against sun-and-sand vacations. • The demand for eco-tourism and nature based holidays is expected to double and even triple in the next 20 years. • Sports and adventure holidays continue to be popular with the young. The interest in cultural tourism, ‘wellness’ holidays, eco-tourism and rural tourism would tend to favor the Philippines, provided the country can avail of the opportunities offered to maximize its natural advantages in these areas. The d e v e l o pment of new tourism p r o d u c t s a n d destinations must be based on market research and demand, keeping the source markets and the age groups of the tourists in mind. At the same time, the Government must develop new source markets nearer home and make the Philippines a safer destination for family holidays. The World Tourism Organization predicts an increasing tourism preference towards East Asia, the Pacific, West Asia and South Asia, although Europe and America still remain the world’s foremost tourism destinations commanding 77 per cent of the global market. East Asia/Pacific continues to achieve the highest rate of growth of 14.5 per cent in tourism and travel followed by West Asia and South Asia. With this gradual shift in focus, the outlook for the growth of tourism in the region – the Philippines included – is promising. Our desired ascension to the top slot of the tourism game entails more than just coming up with a lame, self-absorbed slogan like “Pilipinas Kay Ganda”. (Even my driver can come up with something better than that!) It requires unbridled passion and the all-out energy of a nation led by no less than PNoy himself. Previous postTop Hits in the Land of PNoy!